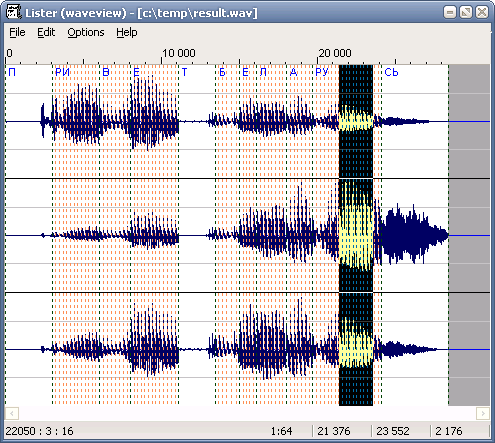 WaveView - Total Commander Lister plugin to view PCM wave files. Available functions: opens wave files with any number of channels, arbitrary sampling rate and 8 or 16 bit PCM sample encoding; display of the waveform, markers and regions (compatibility with popular sound editors e.g. Sound Forge, Audition); possibility to zoom by horisontal and vertical scales; playback of the whole signal or from the current position or selected region; information about the wave file and selected region displayed in the status line.